Why is Jeff Sessions being sued and what does it mean for cannabis? A new lawsuit was filed against Jeff Sessions and the federal government earlier this year which seeks to force the federal government's hand on changing cannabis' classification via litigation. Cannabis has been classified by the federal government as a Schedule I controlled substance since the passage of the Controlled Substances Act by Congress in 1970 (enacted in 1971). The DEA has been petitioned in 2001, 2006, 2011 to reschedule/deschedule cannabis' federal status, but the DEA refused to budge each time. The DEA also reiterated its stance on cannabis classification in 2016. One of the plaintiffs in the case is a 12-year-old medical cannabis patient named Alexis Bortell. Alexis was 11 years old at the time the lawsuit was filed last summer. Alexis is one of many 'medical cannabis refugees' that have moved to states where medical cannabis is legal. She moved from Texas, which does not have a comprehensive medical cannabis program, to Colorado which does. She suffers from life-threatening epileptic seizures, and the use of cannabis has helped her live a much better life. Alexis is "a remarkable child," Hiller says. "When I first spoke to her, it wasn't to say, 'Hi. How are you?' It was so she could interview me to make sure I was the right lawyer for her. She's a smart kid and a brave kid who's not afraid to tell you what she thinks." An article from Rolling Stone described Alexis Bortell as being 'wise and articulate beyond her years,' and pointed out that Alexis was invited by NORML to their annual Congressional Lobby days event. She is also a published author, having co-authored a book titled Let's Talk About Medical Cannabis with her parents Dean and Liza Bortell and sister Avery. Alexis is a formidable opponent, and a truly inspiring kid that has won the hearts and minds of cannabis supporters nationwide. 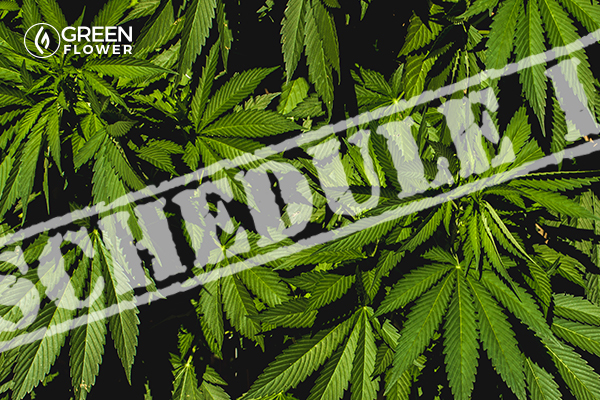 Who else is suing Jeff Sessions over cannabis' Schedule I status? Each plaintiff has been damaged by cannabis' federal Schedule I status in their own way. All plaintiffs are demanding that cannabis' federal status be changed. What does the lawsuit against Jeff Sessions actually say? Cannabis is a public health issue -- not a criminal one. The lawsuit filing itself is 89 pages, with parts of which doubling as a history lesson on cannabis use and policy in America. "Classifying cannabis as a ‘Schedule I drug’ is so irrational that it violates the U.S. Constitution." "Without her use of whole-plant medical cannabis, Alexis would likely have no quality of life, and instead be resigned to spending her days at home inside or worse, in a hospital bed, as medical care-givers surround her with offers of palliative care which fail to provide any actual palliative relief. In addition, Alexis would be subjected to traditional forms of treatment which, aside from being ineffectual, threaten her with serious and life-altering side effects, including infertility." The lawsuit seeks a declaration that cannabis' current federal classification is unconstitutional. If the lawsuit is successful it would not nullify the law, but would instead put a permanent injunction in place against enforcement of current law as it pertains to cannabis. Why is Jeff Sessions a defendant in the case? Jeff Sessions is not the only defendant in the case. The lawsuit also lists former acting Director of the DEA Chuck Rosenberg as a defendant, in addition to the DEA and U.S. Department of Justice. Both Jeff Sessions and Chuck Rosenberg were listed as being defendants in their 'official capacities' as the heads of the two federal agencies. Chuck Rosenberg has since stepped down from his position at the DEA, and has been replaced by Robert Patterson who by default becomes a defendant in the case. The same would be true if Jeff Sessions were to resign as the United States Attorney General, or be replaced by president Trump. Both Sessions and Patterson have been outspoken cannabis reform opponents for a long time, so they receive a lot of headlines as defendants, but it's their positions in federal agencies that are truly the targets of the lawsuits. What are the chances of the lawsuit being successful? The government is being very hypocritical on cannabis. The five attorneys in the case, who are all members of the New York State Bar Association, are volunteering to represent the plaintiffs. Having passionate representation is vital a successful lawsuit, and that's clearly the case. 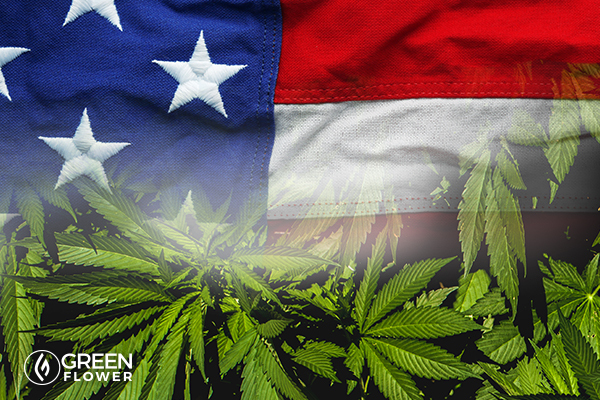 29 states have legalized cannabis for medical use, as has Washington D.C. Despite the overwhelming evidence that cannabis does indeed possess medical value, and the undeniable hypocrisy of cannabis current federal status, the odds of the lawsuit being successful is unfortunately not great. But that does not make the legal effort any less noble. A case in New Jersey's Court of Appeals was recently decided in favor of a Schedule I review at the state level, so anything is possible. A motion to dismiss the current case against the federal government was denied, so the case is moving forward, which can be seen as a positive sign that there is merit to the lawsuit. The case is likely to take a considerable amount of time to run its course and for a decision to be rendered. In the meantime keep your fingers crossed that logic and compassion wins! Is this the only way to remove cannabis from Schedule I? Going through the DEA or the Department of Justice in general is just one option. It's also the most difficult and complex. Another, more straight forward option would be if congress simply voted cannabis out of Schedule I status. It should be noted that when congress was initially debating on where in the Controlled Substance Act to schedule cannabis, they could not agree. So a commission was appointed – the Schafer commission. The commission conducted one of the most thorough scientific studies on cannabis to date. They presented their findings to President Nixon, suggesting cannabis be outright decriminalized for adult use. Nixon ignored them because prohibiting cannabis was a means to controlling his political enemies. One of his top aides, John Ehrlichman, admitted as much during a 1994 interview. Despite the admission of corruption, this unfair law – cannabis as a Schedule I – is still in effect today. It’s as if Nixon is ruling from the grave. 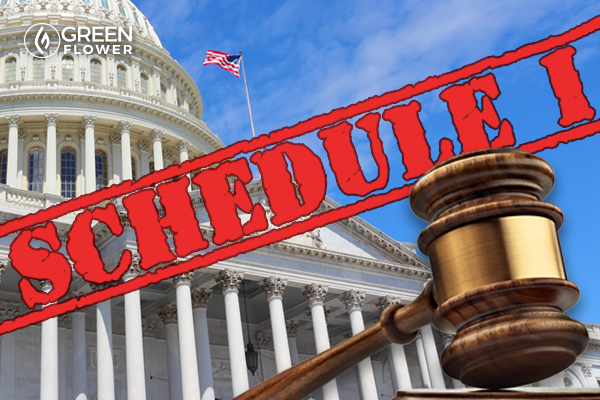 If enough people lobby their congressional representatives to de-schedule cannabis, maybe congress will finally have the courage to correct this terrible injustice. Should cannabis be resheduled or descheduled?